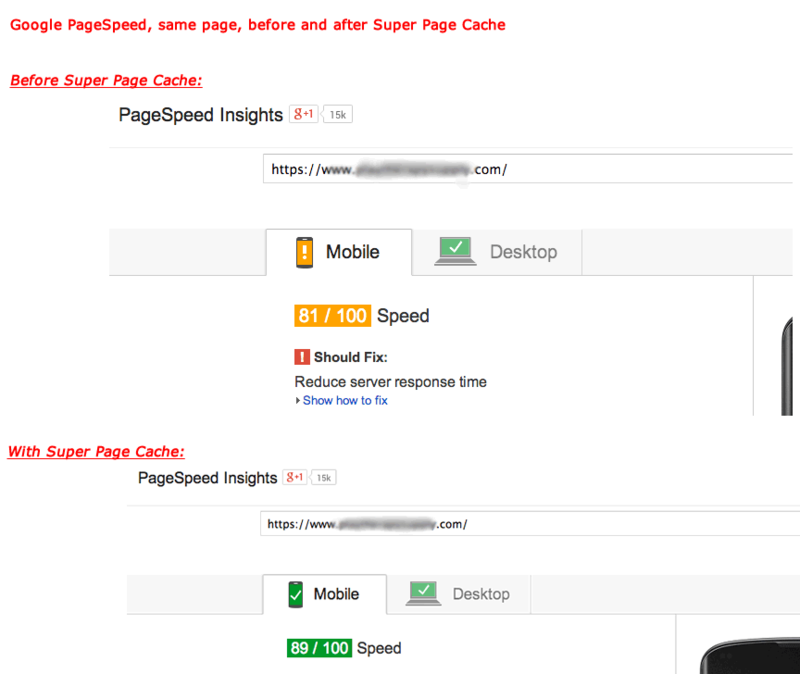 Solve the OpenCart speed problem with Super Page Cache! Now works with OpenCart 2.0.x, 2.1.x, 2.2.x (and OpenCart 1.5.x for all you retro types)! OpenCart is a great platform for ecommerce. Unfortunately with so many features and so much extensibility, its codebase is very bloated and your page load times suffer as a result. With Google putting so much emphasis on your site’s overall load speed, and with users becoming increasing impatient with slow loading sites, it’s absolutely vital that your site is loading as quickly as possible. Not only that, slow pages are killing your conversions. According to research done by some of the largest ecommerce sites, every 100ms you shave from your page load can result in a 1% increase in revenue! 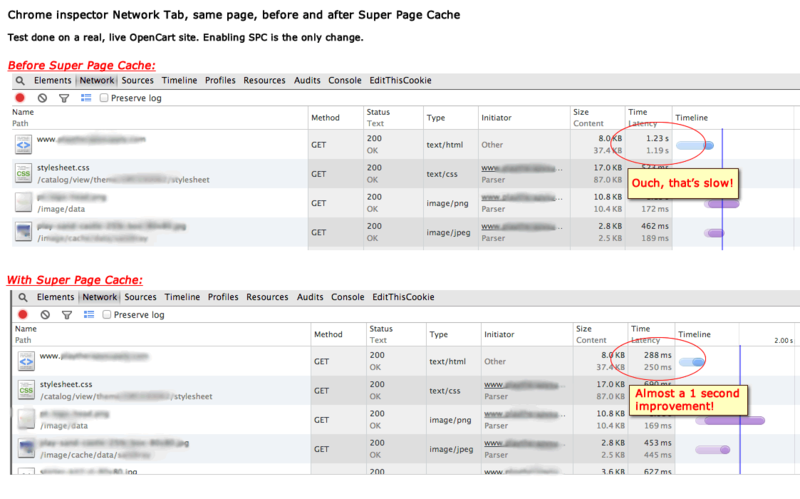 Super Page Cache solves the OpenCart slow loading problem once and for all. 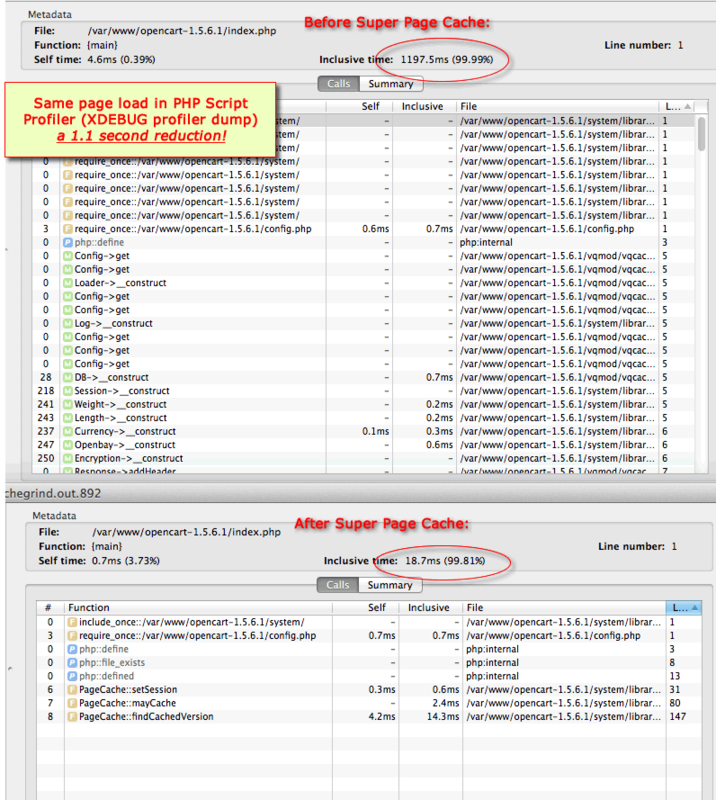 With Super Page Cache once a page is rendered, it’s stored in a local cache. This means when a visitor visits your site, instead of OpenCart having to generate each page from scratch each time, the pre-generated pages are seamlessly loaded from a local cache. The result is up to a 5000% improvement in site loading speed! Super Page Cache automatically clears the cache whenever products, categories, or information pages are modified in the site admin. This makes sure updates you make to the products are always available instantly. SPC includes Smart Caching Technology to prevent pages from being cached when users are logged in, or have items in their cart. 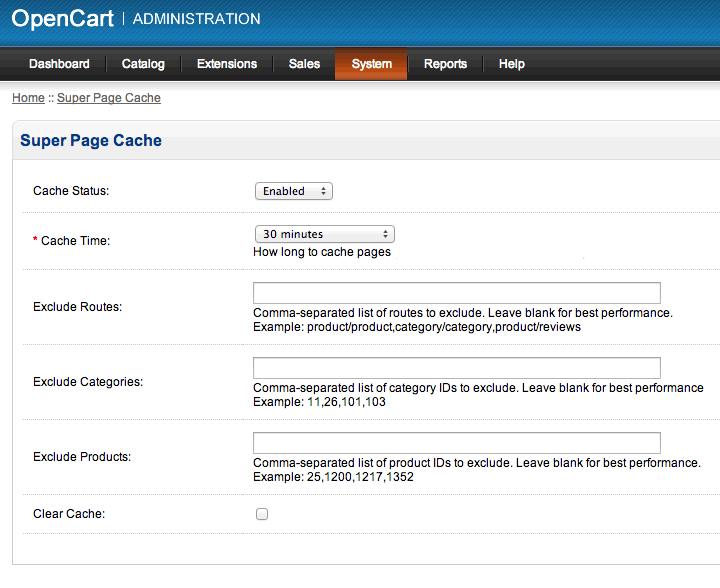 No customer-specific pages, for example account, compare, wishlist or cart pages are cached. 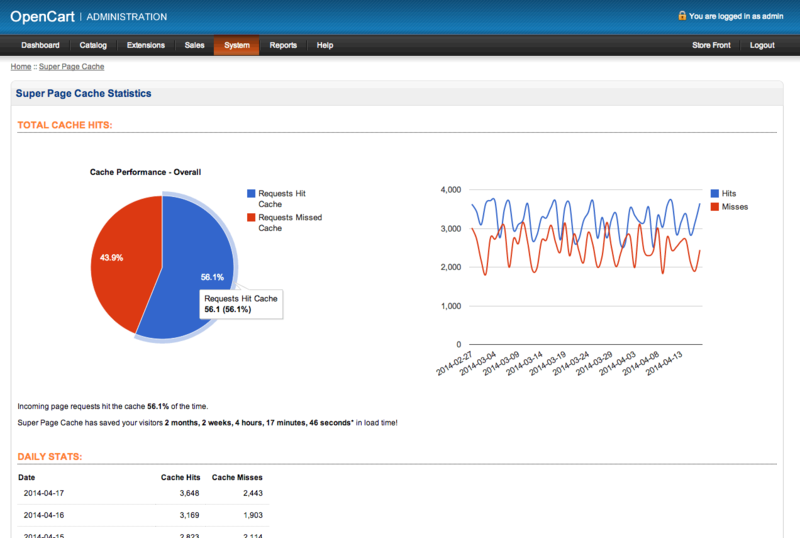 Keep tabs on your cache’s performance with built in graphical monitoring tools. No license servers or obfuscated code, you get the full script. Click here for a demo site of an example OpenCart installation running Super Page Cache, SEO Link Deduplicator, and SEO Canonical Links plugins. Refactored to provide OpenCart 2.0.x support as well as 1.5.x! Implemented a better storage scheme for config and stats. After installing this update, your config and stats will reset, you’ll need to reconfigure. The script works and is tested with most common configurations. Rare server, plugin, or theme configurations may require custom modification or troubleshooting for the script to work.